Roman succeeds in the difficult task of interweaving historical information with the day-to-day experiences of children. 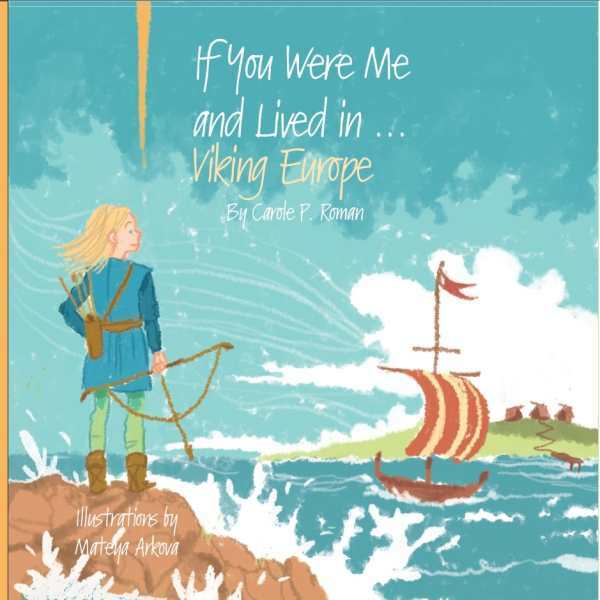 Carole P. Roman’s If You Were Me and Lived in … Viking Europe offers a meticulous slice of history to the younger set. In an easy-to-read “day-in-the-life” narrative format, Roman details Viking Europeans’ major figures, events, and artifacts. The picture book explains how traditions, customs, and accomplishments of Viking culture varied significantly from modern American life. Roman puts readers in the role of children living in the year 870, examining typical names for boys and girls of the era, what they did during the day, and how they were expected to change as they grew. Still, Roman succeeds in the difficult task of interweaving historical information—such as that about the origins of runic alphabets, and that public placement of rune stones proved that most people were literate—with the day-to-day experiences of children. Roman portrays Vikings fairly, without idealizing them, noting that Vikings were well groomed and wore much jewelry. The girls worked on looms to make woolen clothing, and the boys learned how to survive, practiced bow and arrow shooting skills, and prepared their catches for dinner. The children were expected to follow adults around and learn about their professions. By the time girls were twelve, fathers were on the hunt for suitable husbands. With marriage came safety for the family, so families worked hard to make alliances that were secure and brought protection. The book includes a brief, illustrated guide to major figures of the time and a thorough glossary with a pronunciation guide. Simple images, however, do little to enhance the prose. Illustrations lacking in detail cannot compete with the dense text, which is sometimes overwhelming. If You Were Me and Lived in … Viking Europe is an interesting source of information for those of elementary school age.